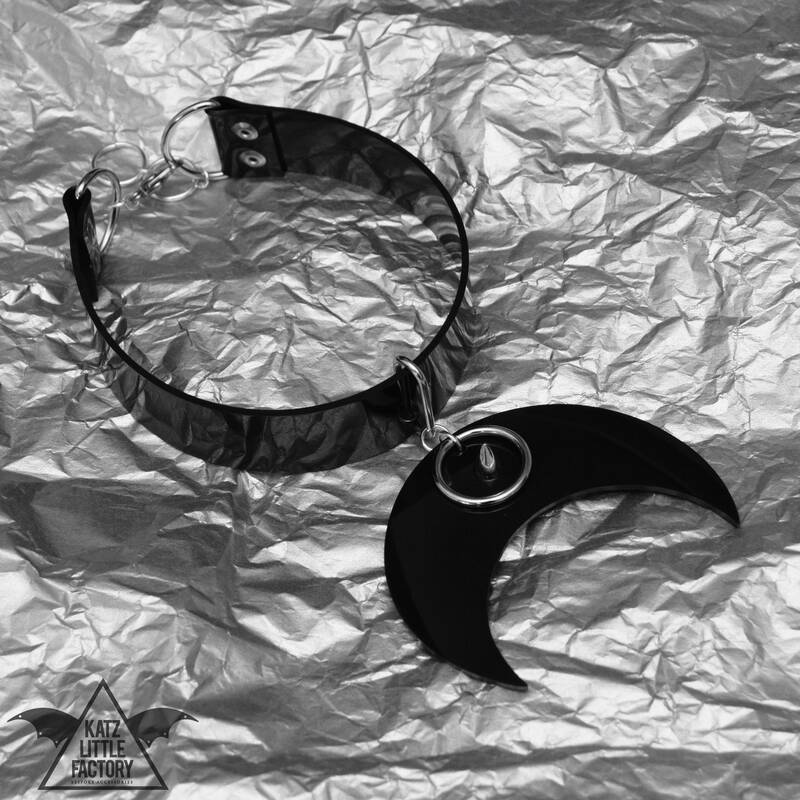 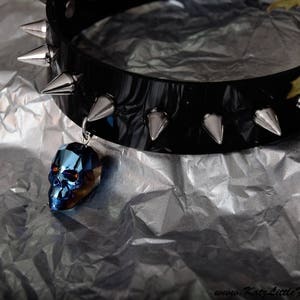 La Luna choker in glossy black. 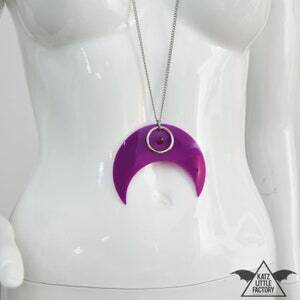 Oversized crescent charm in front - all hardware is silver plate. 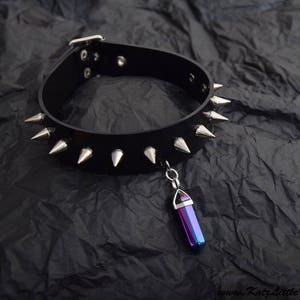 Adjustable with a clasp and chain at the back.